During his lifetime, Harold L. Davis was one of the Pacific Northwest's best-known writers. 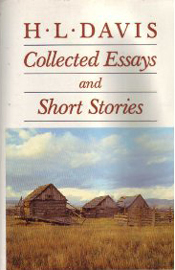 In the 1990 introduction to Honey in the Horn (1935), Merrill Lewis describes Davis as "a writer who stood perpendicular upon a Northwest literary landscape that was flat and characteristically conventional." Although originally from Oregon, Davis and his wife moved to Bainbridge Island in the late 1920s and lived here until 1937. 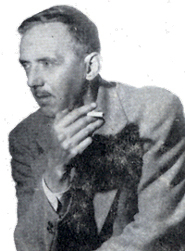 He wrote several books before passing away in 1960. Among them are Beulah Land (reissued 1971), Team Bells Wake Me, and Other Stories (reissued 1974), Collected Essays and Short Stories (1985), and Winds of Morning (reissued 1996). 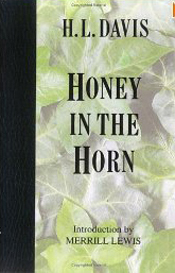 Davis is perhaps best known for his book Honey in the Horn - a story of hardy pioneers homesteading in Oregon during the early 1900s. The novel won the Harper's Price for best fiction in 1935, the year it was published, and the Pulitzer Prize in 1936. One reader says: "This book was impossible to put down... It is well researched as to the history and conditions prevailing in a country always hard to live in. And it is a rollicking good story." If you would like to learn more about Harold L. Davis, including a complete list of his works and original publication dates, go to http://www.ochcom.org/davis/.